Chivas de Guadalajara v Arsenal Pre-season friendly. I don’t know much about Chivas and it is hard to predict whether this will be a proper game or more of a stroll in the park. It takes two to tango but I have no doubt that our boys will be up for it. How will we line up for this one? Cech in goal and a CB pairing of Holding and Chambers is my guess. The full backs could be the same as on Thursday, but I reckon Bellerin and Nacho will start as they need the game practice. In midfield I expect to see Santi get a start, possibly coupled with Xhaka and Jack playing in the hole. Up front I expect to see Akpom start with Gnabry and Iwobi on the ‘midwing’ positions. Chuka deserves a chance to start after his goal and Gnabry and Iwobi are closest to first team level football, and I want them to work with Akpom to form a lethal attack. Your guess is as good as mine, but let’s see who will start and how they will do. The game will be on Arsenal.com from 2am. Wanted to follow up on the brief report from an item from Thursday’s match. Re: Wilshire/Theo. Watched again on Saturday twice. Would not have known he was on the pitch if you hadn’t mentioned him. Wished I hadn’t had to watch Theo. Not good. I’d have rather had Iwobi or Jeff or Willot or Akpom play 90 in this case. In that second half the passing was quite good– that trio (and Akpom– right place, right time as opposed to Theo) looked quite good infront of Granit. My gosh he is a godsend. What I really really like about him paired with Elneny? Is that they both have hammers at distance. It will change the dynamic of the attack altogether– when defenses know they have to guard that aspect 100% of the time. Now. To the one point I feel is possible, not probable. If we don’t sign a Mahrez/Lacazzette/Icardi? I truly feel that Iwobi is on the cusp of greatness. 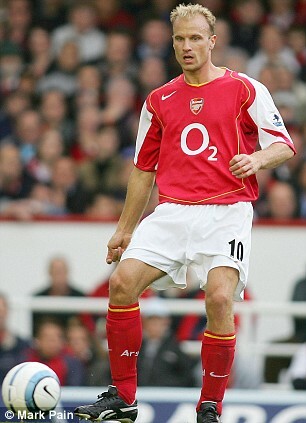 I see him in a pre-Henry stage as a winger. He has that peripheral sense of all else that goes on around him without needing to glance– as on the setup on Akpom’s sitter. His first touch is velvet. His quickness deceptive. I’d really like to see Iwobi paired with Giroud. I’ll leave it at that. Gnabry hasn’t joined Germany for the Olympics yet? Agreed re Iwobi’s potential. He will have to compete with Campbell, Ox and yes, probably a new signing. But that is good at this stage..
Theo gets another chance to find the net and Ox gets another start as well. Xhaka, Coquelin and Santi starts in midfield, back four correct, Ospina starts! Nice to see Iwobi start. CoyGs! Hi TA – I am up and ready for this. I too, wondered about Gnabry after the no show in the last game. Owner has Chivas TV, which is expensive. Fans don’t get to watch home games. V. Upset. They are 3 games into their season. Won one, lost two. They play with only Mexican players based in Mexico. Therefore I conclude they will be fit, keen, and probably technically gifted in most areas. But they are a struggling side. Oh, there suggested line up is much the same as yours, ‘cept Campbell in for Gnabry, and Ox in the middle of the front 3? Look out for the interaction between Bells and Joel … or lack of it. Rob Holding scores on his second game for the Gunners. Good effort, but he almost gave away a goal earlier on. Ox and Akpom both scores!!! Good to see the youngsters getting a run out and my take is to start Akpom and the striker problem will be solved. Fantastic goals. 3-1 the final score, and against tough opposition, a good opposition goalie, and with youngsters in the fray we are very happy with the score. As I read the commentary online, its time for me to catch the highlights later on before making more comments.